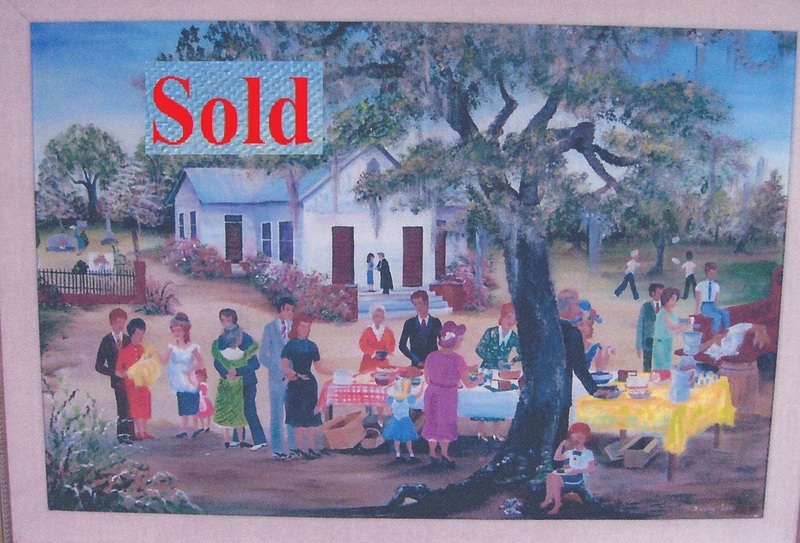 “The Church Picnic” is a pictorial narrative of another childhood memory. The church in the background of this painting is Mt. Carmel United Methodist Church, a historical church in Colleton County. The church was established by early Methodist circuit riders, beginning as a camp meeting site between Walterboro and Smoaks. The cemetery has veteran's from every war beginning with the Civil War. and cousins all showed up with an array of covered dishes, all kinds of meats and vegetables, and my favorites, lemon pie and coconut cake.